The moment I stepped in this cafe, I saw a glimpse of my future wedding reception, which is likely to happen 10 years from now if ever you’re thinking when. 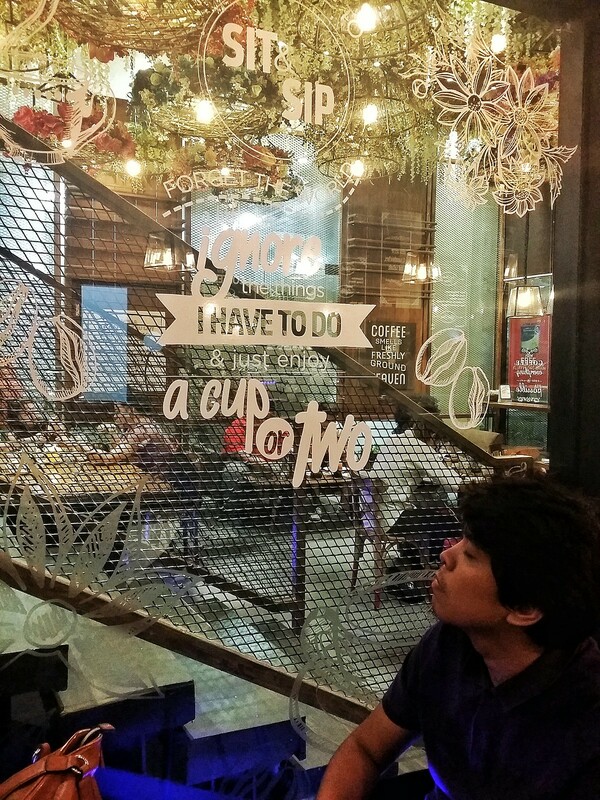 Paul and I (again not getting married soon, wag ng makulit) are currently obsessed with cafes. 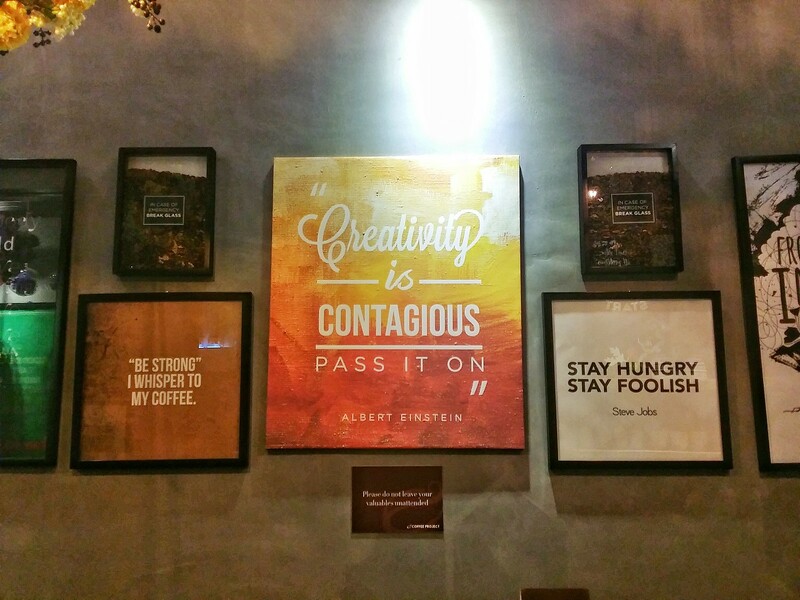 We now prefer pasta over rice, artsy beverage over simple ones and a pretty chill place over a noisy one. 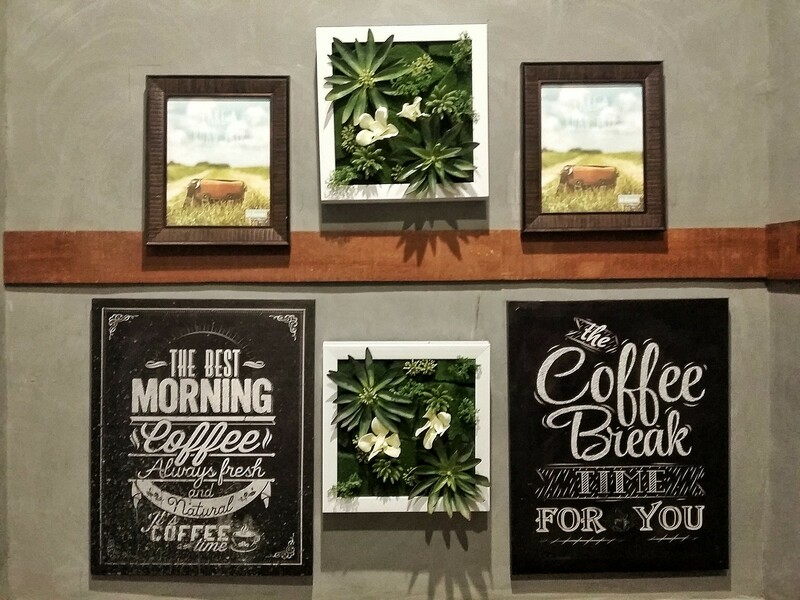 Coffee Project is located on the first floor of Wil Tower, Eugenio Lopez Drive, South Triangle, QC. by driving: We entered South Triangle by EDSA-Quezon Ave Panay Avenue. Turn left to Sct. Esguerra then turn right to Eugenio Lopez Street. There’s a free parking beside the Wil Tower, an open parking not the basement one. by commute: I’m not really good in commuting around this area. But I know you can ride a tricycle beside McDonald’s EDSA-Quezon Ave. 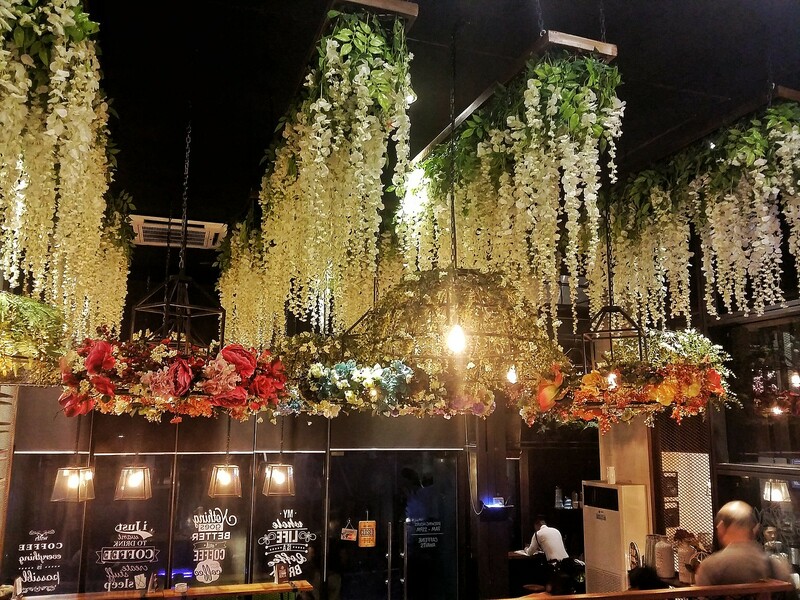 The place is a combination of floral and typography. 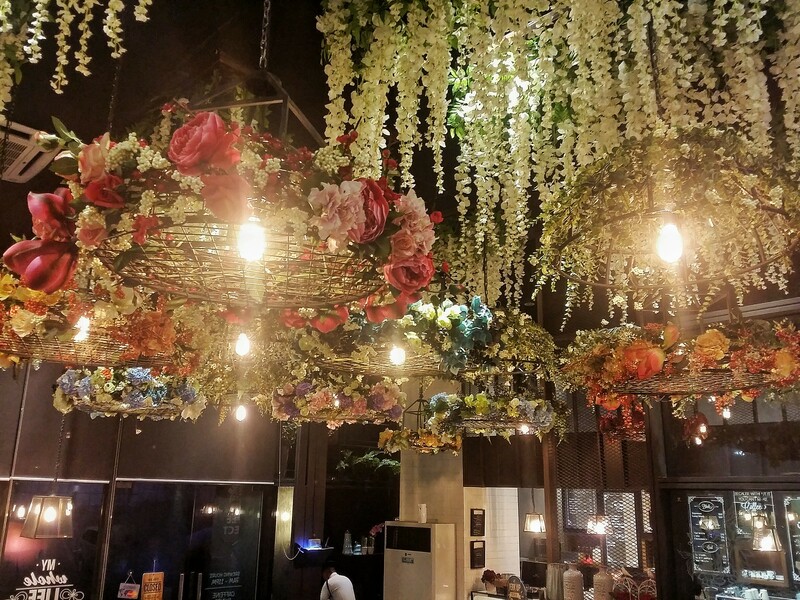 The place is charming from all the flower decoration light fixture in the ceiling. I fell in love with it that I want one in my room even though it’s not suitable to be a room decor. But it is very much suitable to be a wedding decor so yeah, I’ll be keeping this is mind. The typography posters around made the place a less screaming progesterone and more of a balance of feminine and professional. The place is big enough that it even have a mezzanine area. 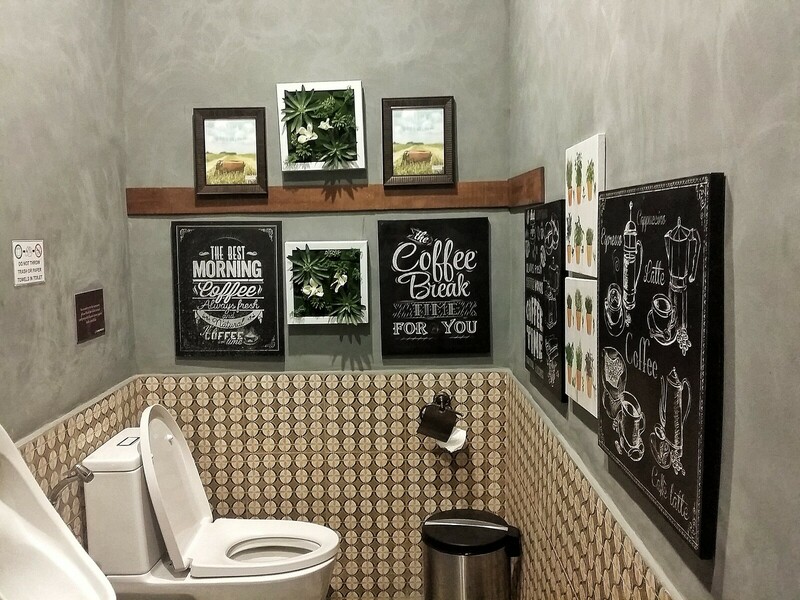 Even their comfort room is instagrammable (if this is even an adjective). 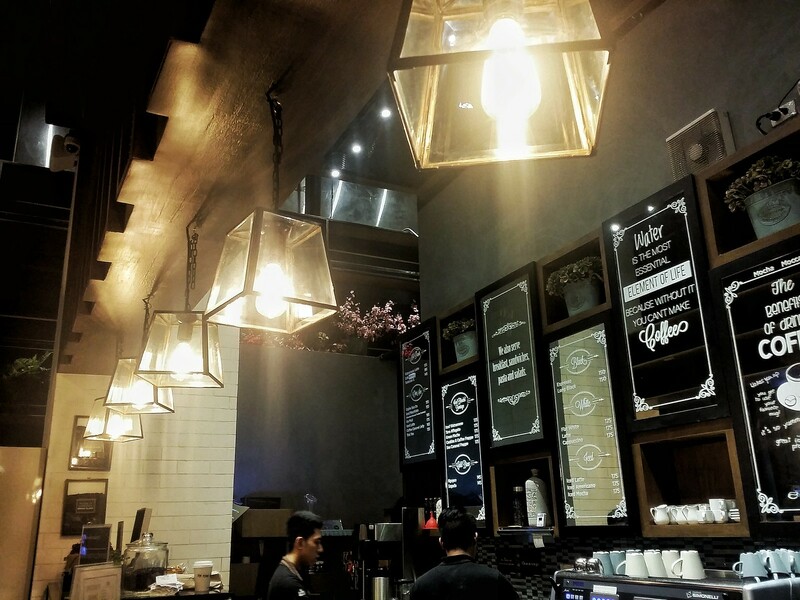 The night is perfect if I just had Fufi (my Fujifilm X-A2) to capture the beauty of our newly discovered cafe. 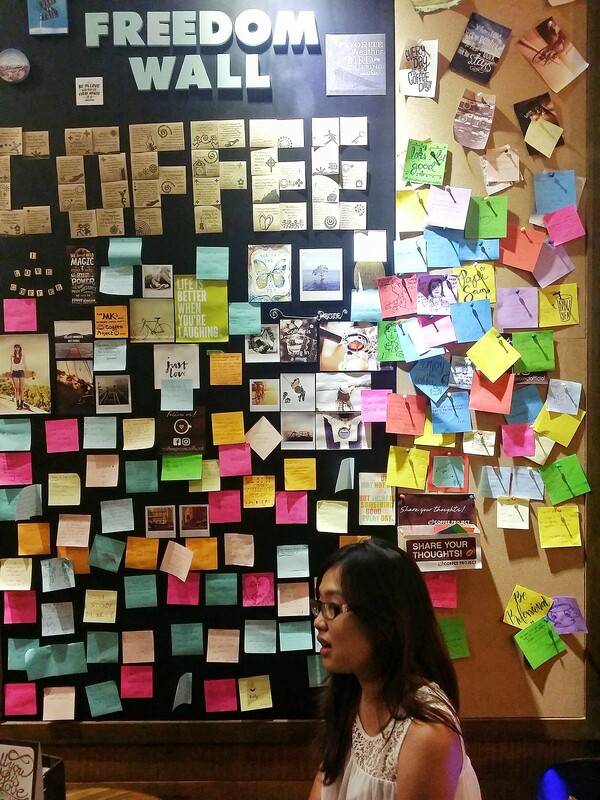 Since it’s named Coffee Project, they have a one whole page of menu for coffees that ranges from P155 – P185. Don’t worry, it’s not all coffee though for they offer all day breakfasts and pasta too. It’s actually because of my seafood pasta cravings that brought us here in the first place, so I had dibs on sardine pasta (P210). The pasta needs a little improvement for it’s price. The breads and drinks are pricey but good. 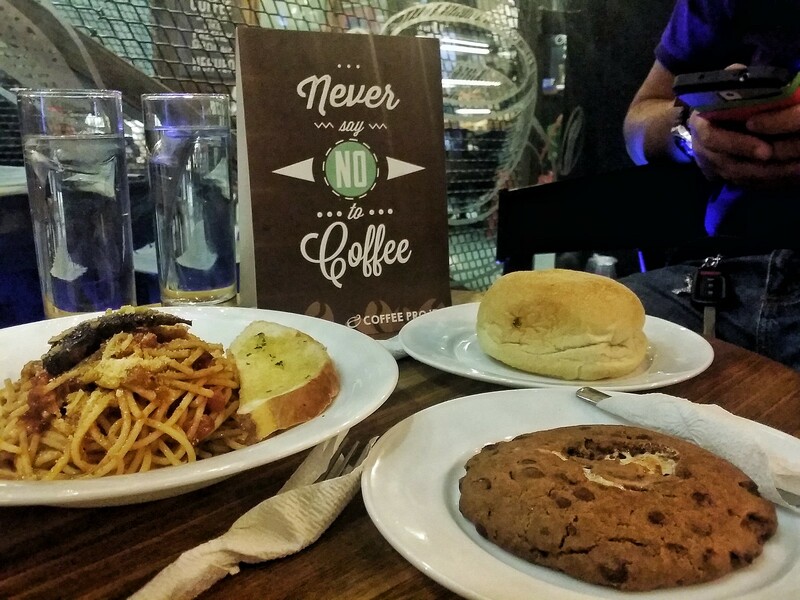 Paul ordered the tuna pandesal and smores cookie (Diet si kuya, guys!) and it’s very tasty. I wouldn’t mind have it every breakfast. 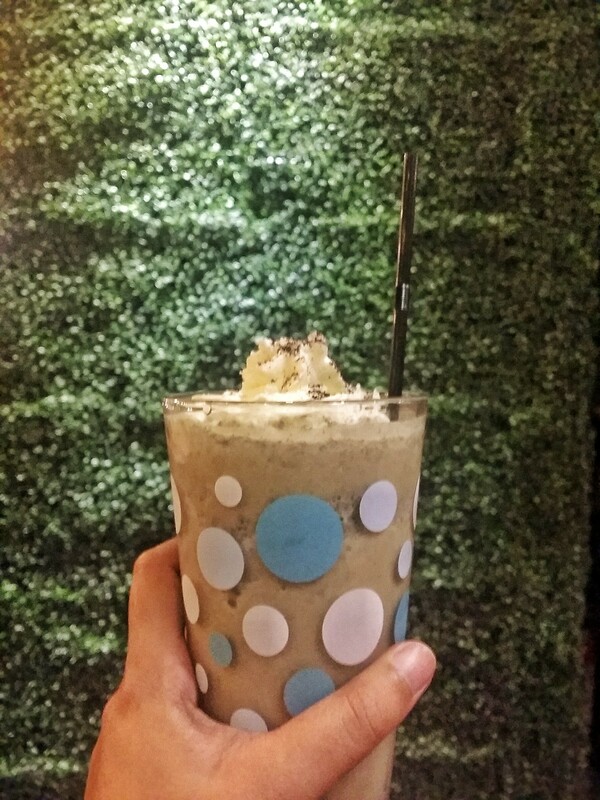 We ordered this cookie and coffee frappe (P175) which is a mixture of coffee and milk. It’s not sweet as sweet as a cookie and not as strong as a coffee. I enjoyed it. Here’s some snaps from my smartphone. Sorry for a not so good quality photos. Love at first sight with these decors. Who wouldn’t even?? #NotReady but I don’t care the freedom wall did a good job as a background. Forget the world. Ignore the things I have to do & just enjoy a cup or two. OMG thank you for sharing this ♥ ♥ ♥ The place looks beautiful! True! HAHA! That’s why hinighlight ko talaga yun. 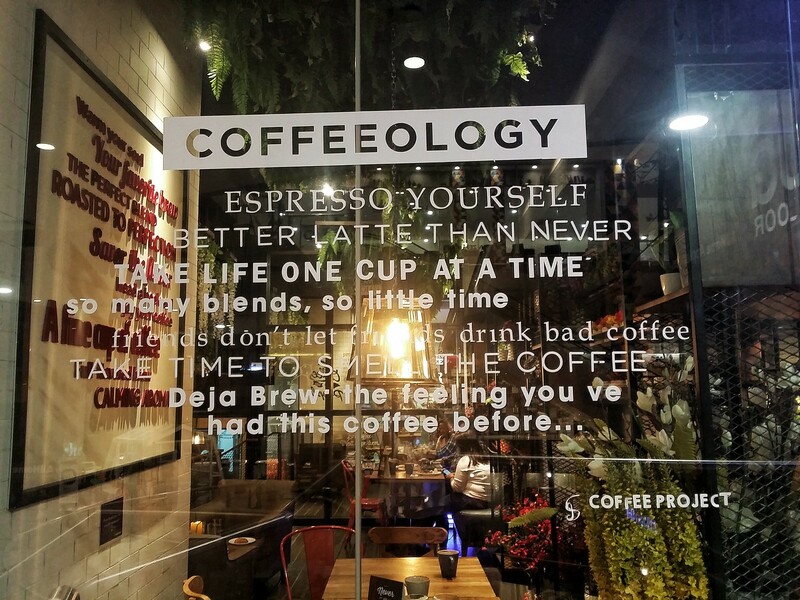 You’ll love their coffee menu! 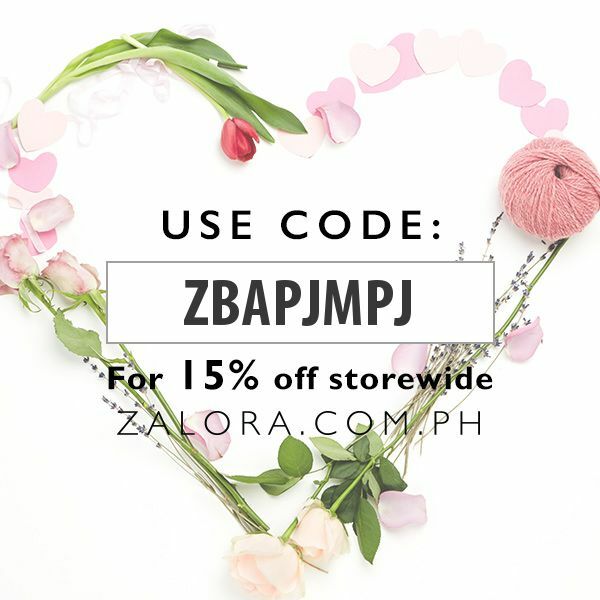 Sobrang dami. The florals also made me want to make flower crowns. OMG what a gorgeous place! It’s like literally waking inside Pinterest! What a pretty place! Even the bathroom looks nice haha. It looks better than my room lol! Punta kami dito Be! Thanks for sharing! ? I love this place! Pati yung CR, instagrammable eh! Haha! 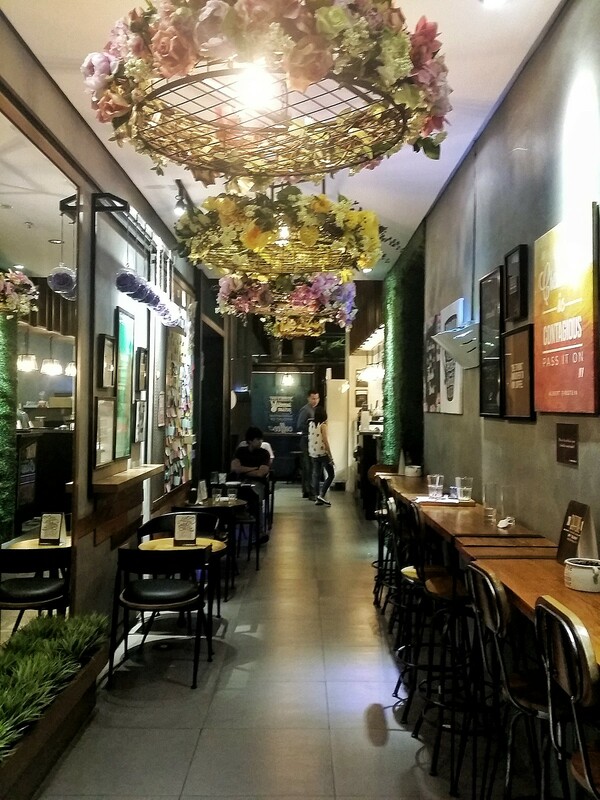 Super duper love the ambiance, gusto ko lang magchill dito and order lots of frappes. HAHA!